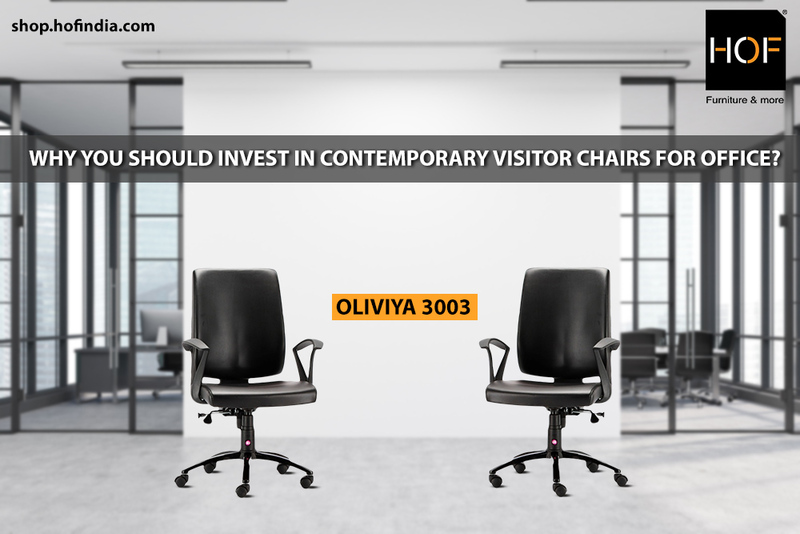 Why you should invest in Contemporary Visitor Chairs for Office? The saying “First impression is the last impression” holds true in the case of office chairs as well. One should always keep in mind that visitors do notice what they are sitting on. Modern office chairs are designed keeping in mind the comfort of the user. When you have a high profile clientele or visitors then it becomes necessary to have office furniture that is comfortable apart from other things as it portrays that you care about their comfort apart from other things. Visitor Chairs are important in office set up to ensure guests feel comfortable and welcomed while they are in your workspace.It can be rightly said that they offer the first insight about the work environment of your business. Ergonomically designed office chairs will ensure that the right touch of comfort and elegance is added to various areas of workspace like meeting rooms, conference rooms or even the workstations of employees. There are a few factors to consider before going ahead with the purchase decision of the visitor chairs. One should always be aware about the audience that these chairs will cater to. Some of the things to take into consideration will be the purpose of their visit and the expected time duration they will spend in the office. The ultimate goal of the visitors is what matters. Thus, you can choose a contemporarily styled chair keeping in mind the above mentioned things. When a guest is in the office for a project meeting, there are chances that it may last longer than expected. In such a case, it becomes inevitable that the chairs in conference rooms and meeting rooms have a proper support for head and neck. The modern office chairs are ergonomically designed. So, they are also the most appropriate choice when your employees have to spend major part of their day on an office chair. Looking for contemporary visitor chairs? Visit shop.hofindia.com now! « Lot’s is happening at HOF India!